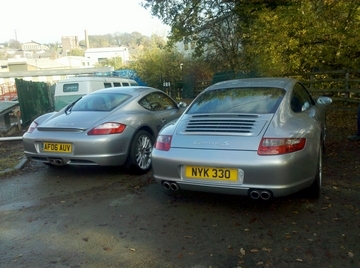 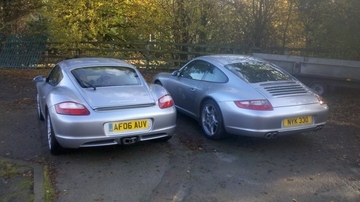 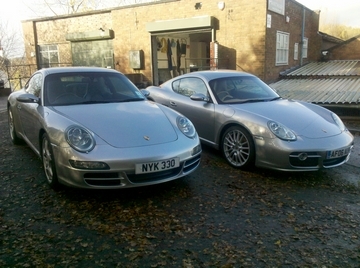 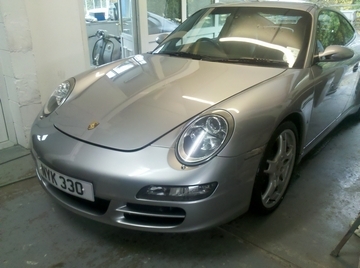 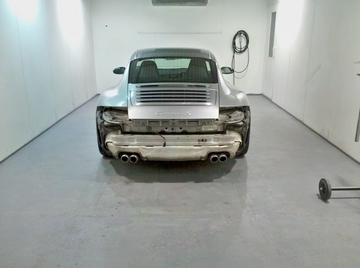 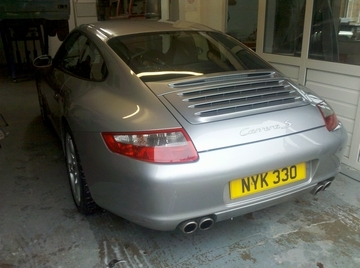 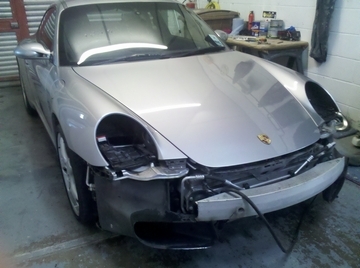 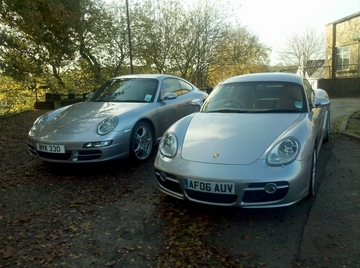 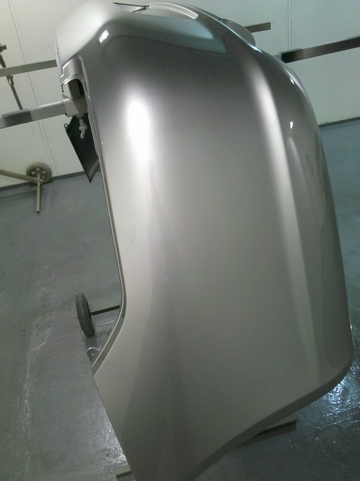 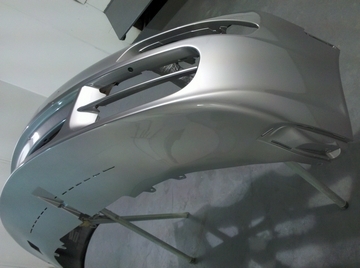 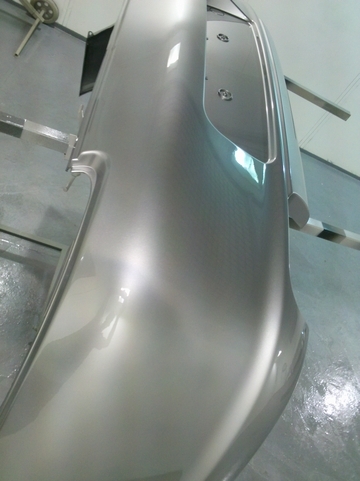 This 911 is in for both bumpers and sills to be painted. 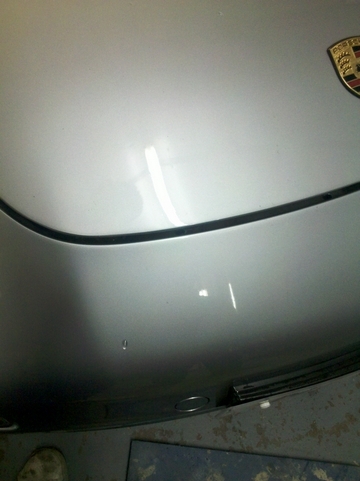 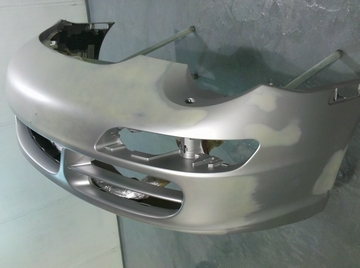 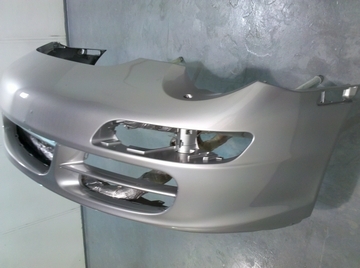 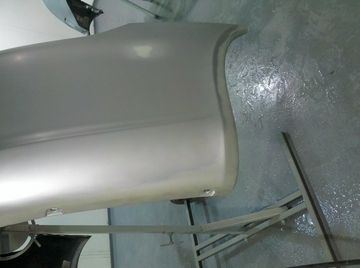 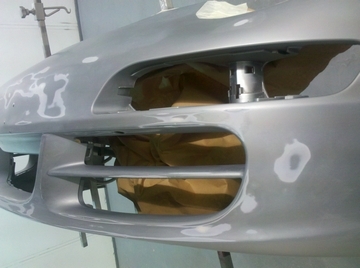 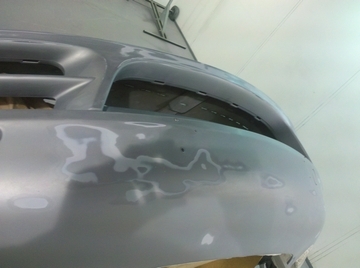 The front bumper has been peppered in chips, has the odd scratch, runs and areas of flaking clear. 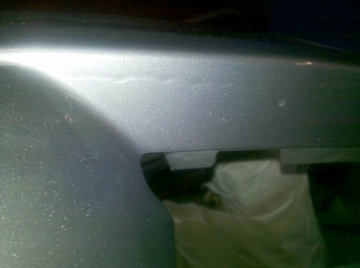 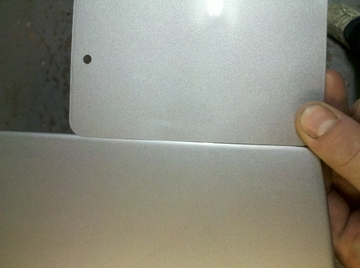 The rear bumper has rashed edges too and the odd chip here and there. 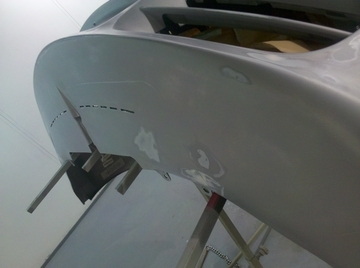 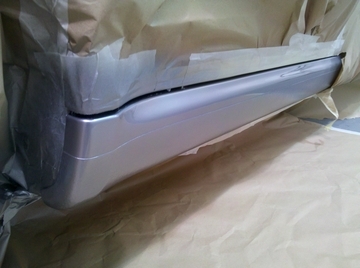 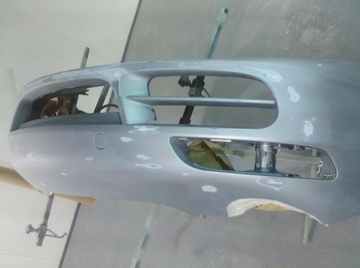 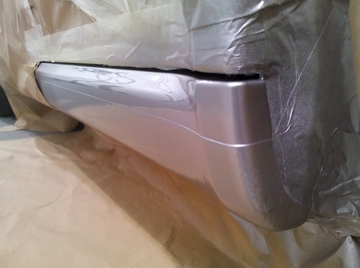 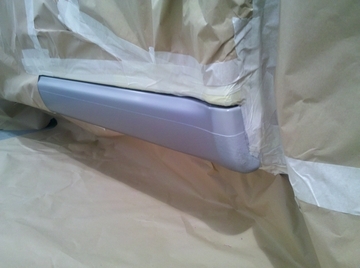 Bumpers primered and blocked and the first coat of base going down! 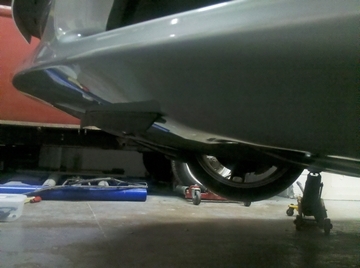 Bumpers fitted up and looking awesome underneath.